Showstopper is becoming a national holiday (Mark your calendars for April 21st! ), and to kick off the debut of this very special day, we are having our largest giveaway yet (AND throwing a party)! Enter your studio for a chance to win a party with the famous Showstopper Julian! 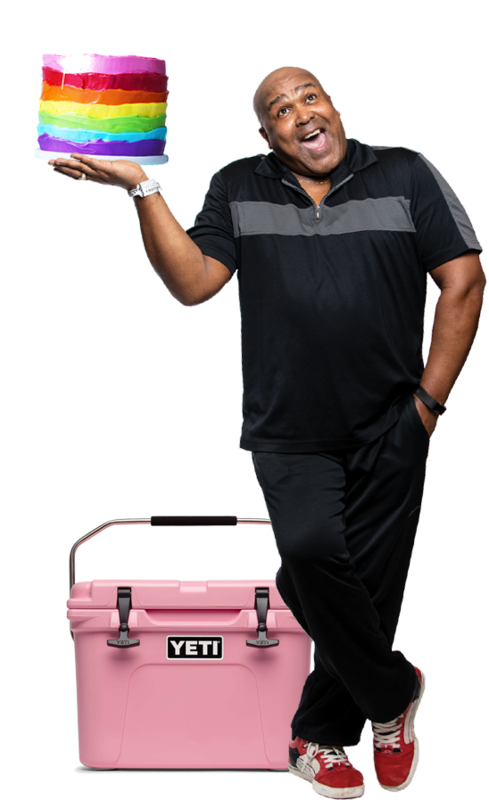 We will send Julian to your studio with all of our fabulous party essentials and our Showstopper Pink Yeti Cooler stocked to the brim with incredible prizes! You won’t want to miss out on the first celebration of the pinkest and glitteriest holiday of the year. Head to the link below for giveaway details and to enter your studio. The winner will be randomly chosen on April 21st, 2019, one year before the first official Showstopper Day! Get ready to celebrate the unconditional love for movement in music and the unbridled joy in elevating performance of dance that is Showstopper day–beginning April 21st, 2020.